The gardening season is almost at an end here in Europe. Well, not yet, but drawing closer to hibernation time. 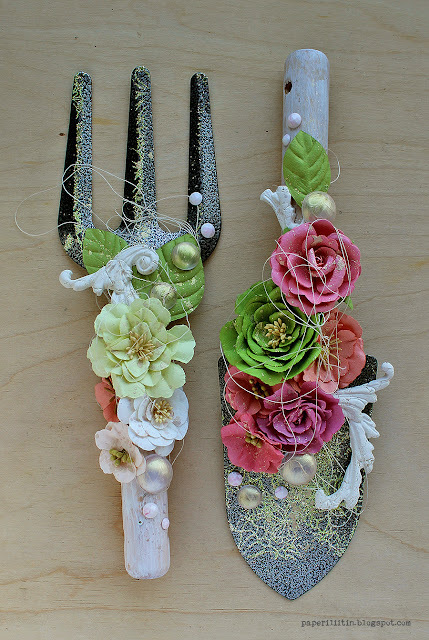 But these gardening tools were made for and published in a spring issue of Craft Stamper magazine. 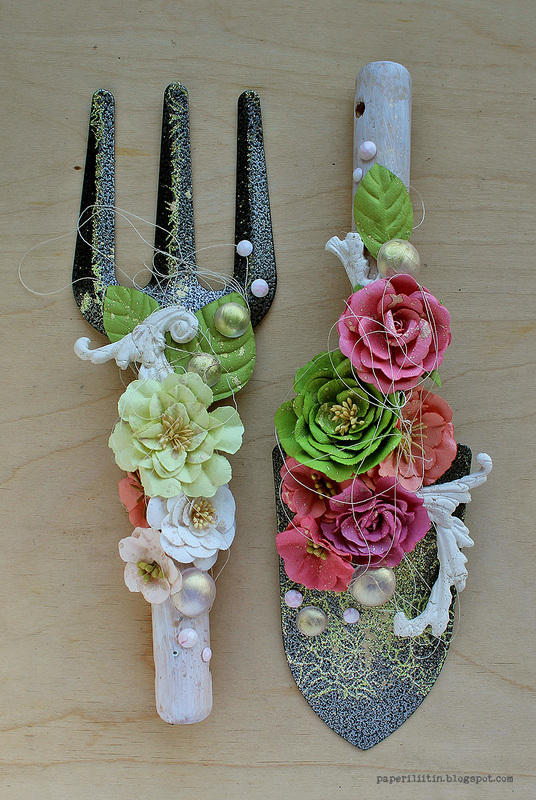 They belonged to a 3D gallery in the February issue where the team altered gardening tools! When Trish sent me this idea, I jumped in immediately! I just love alter things. 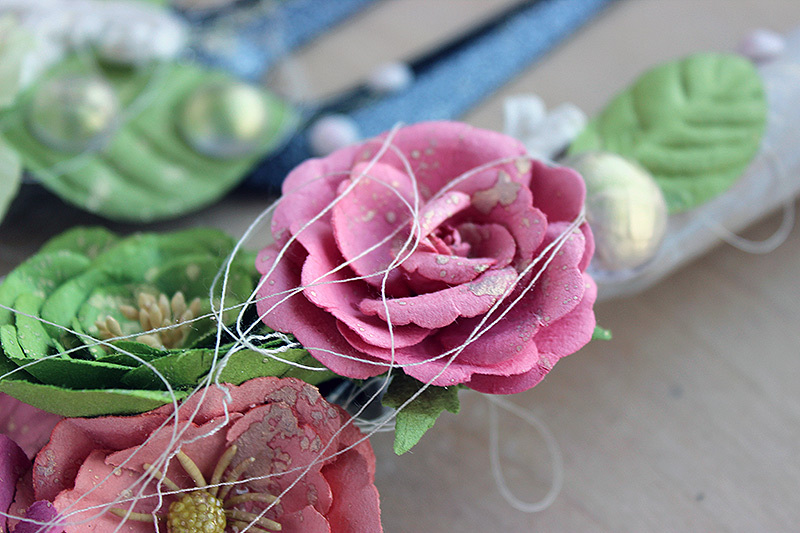 I turned my tools into sweet, flowery ones. 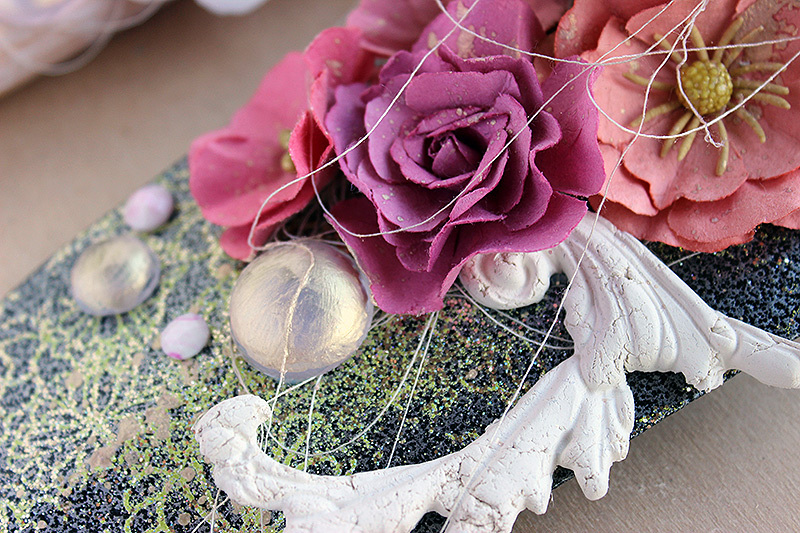 The fun part was making the composition, naturally, but I also loved stamping to the blades of the trowel and fork. I used a flowery stamp from Wow! and also a green sparkle embossing glitter from the same company. I really enjoyed doing these, so maybe I should get to a garden shop to buy another set to alter! Have you altered gardening tools? Or other tools like hammers or saws? Oh how I would love to alter a rusty saw! Thank you for stopping by today! Have a sweet day!